I enjoy my eggs poached medium. I haven’t eaten a soft boiled egg in years. If Grammie heard that she would say ay. I always order my eggs poached medium, but I actually secretly would like them poached soft. I have an egg for breakfast several times a week…over medium. I seldom make myself a soft boiled egg. But I often hard boil a half dozen to have on hand, and I’ll take one out early and eat it soft boiled. 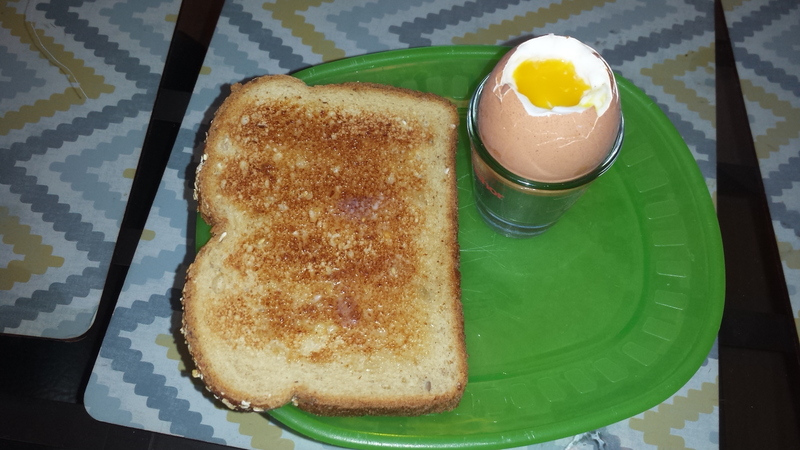 There’s a lot to be said for soft boiled eggs……..ask any dieter. I like the whites done and the yolk still squiggly soft. Best with sour bread that’s toasted. Love Bec’s idea!